It’s something we’ve heard more than a few times in the sixteen years we’ve been importing beer into the US. It’s disappointing, of course, but you get over it and move on. There’s always something exciting and new going on, somewhere. But for some reason, we just couldn’t let this one go. We first approached Timothy Taylor in the late 90s, when we were just starting out. 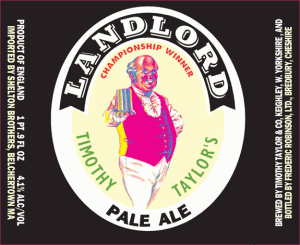 We’d been to England enough times to know that Timothy Taylor Landlord was the stuff — the best beer of England. It’s won every award in the book, including Champion Beer of Britain an amazing four times — way more than any other beer. But they just weren’t interested in export. We inquired every year or so, for the next twelve years. We assumed they were just being polite, as the English are. But then, in early 2011, we got a call: is Shelton Brothers still interested in importing Landlord to the USA, and might you be willing to pop ’round to our offices in West Yorkshire to have a chat? Just a few short weeks later, Dan and Will were on a plane to London, where they caught a train north to Keighley (pronounced ‘keefley’), where Timothy Taylor has been brewed since 1858. In addition to being polite, the English are known for being a bit formal, even in the beer business. Ahead of our meeting, we discreetly asked whether we should dress up, but we were assured that this meeting would be casual. And it was a Friday, after all. So, we arrived, smartly outfitted in jeans and button-downs … and were greeted by a room full of gentlemen in full business attire. Even the brewer wore a suit! This is just the way it’s always been in Keighley, where not a lot has changed over the years, and where the beer certainly never will. Landlord has been made the same way forever, using local spring water, proprietary malts, and only whole leaf hops. It’s glorious stuff — the sort of beer you just can’t stop drinking. If you’re lucky enough to find it dispensed on cask on your visit to the U.K., buy it. Landlord is only 4.1% alcohol, but it’s stunningly complex and flavorful, both hoppy and malty … perhaps the most perfectly balanced beer we’ve ever had. 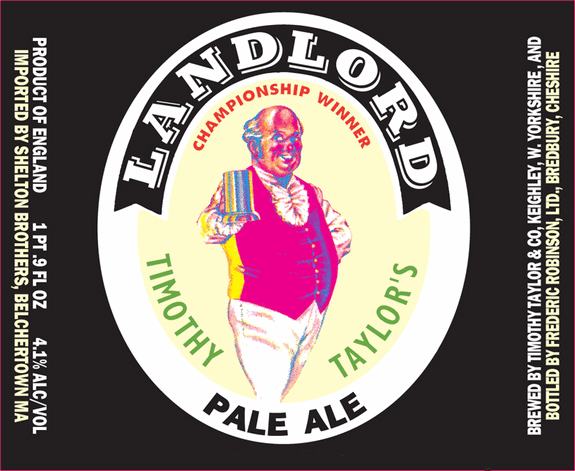 Timothy Taylor Landlord is now available in the U.S, and it was absolutely worth the nearly fifteen-year wait. Where is it sold stateside? Is there a way to get it to a local liquor store through you as the exporter, through a certain distributor? I love this beer but don’t know how to get my hands on it.